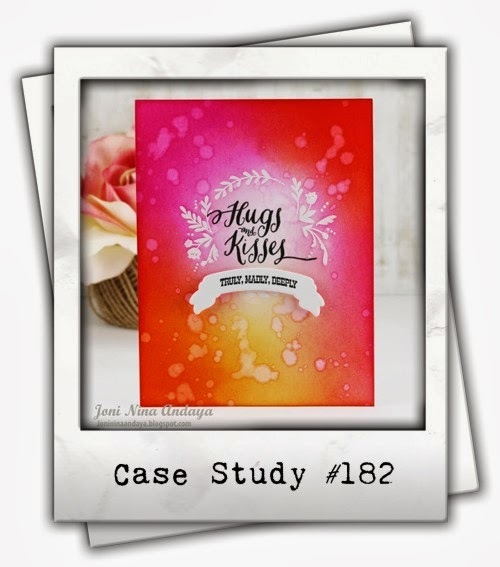 I have some more Easter cards to share today - I made both of them for the current Case Study challenge - I just love the look of the deep sponged colors and water drops on it! 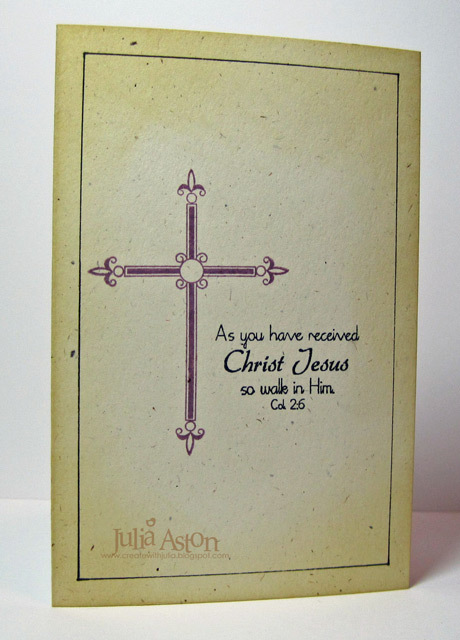 I made a religious Easter Card - and a secular Easter Card. Two friends and I are running our monthly Card Stamping Workshop at my church and I will be teaching both of these cards for it. 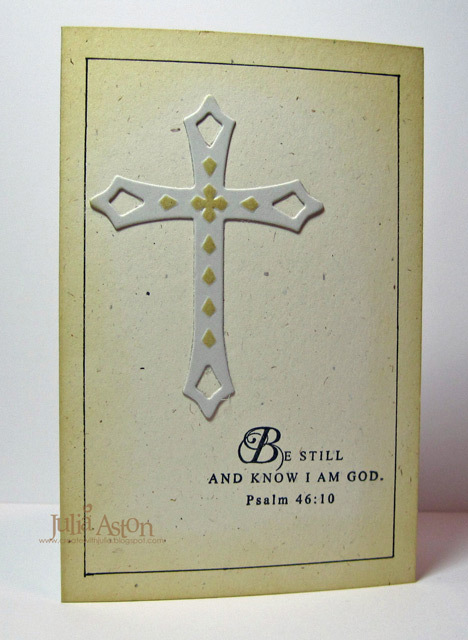 For both cards - I stamped the images with Versamark ink on a white panel and embossed using clear embossing powder. Next, I sponged the Distress Inks over the panel. To finish it, I flicked water drops onto the panel, blotting off the excess water with a paper towel. If I wanted more spots, I repeated the water flicking and blotting until I liked how it looked. 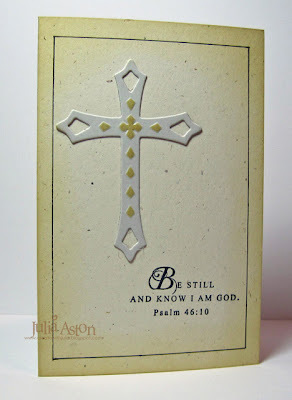 The cross is from Prayer Journal set by Clear Dollar Stamps and the sentiment is a rubber on wood stamp from Denami Designs. The stamps on this card are from Spring Baskets and A Good Egg by Waltzingmouse. This is a simple technique and gives such an interesting result! And since it's St. Patrick's Day - if you'd like to see what I've created in the past for it - you can check my posts here. Everyone's Irish on St. Patrick's Day!! Accessories: clear embossing powder, heat gun, water. Our new minister has been at our church for just 6 months so this is his first Christmas with us. I wanted to give him something other than baked goods or wine (!) and I thought some note cards might be nice. 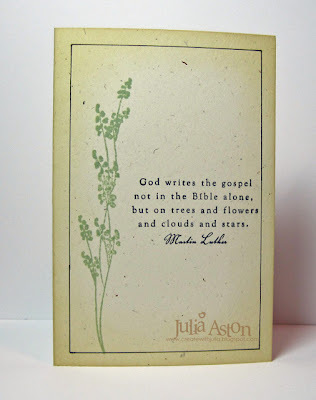 I saw a card in blogland using the stamps on this first card but I didn't note where I found it - so if it's your card please let me know and I'll link to you! 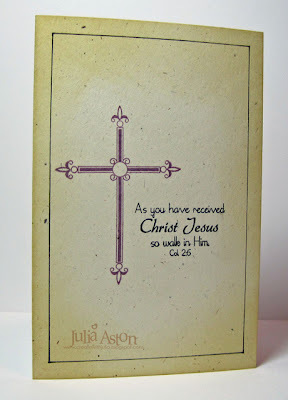 I used rustic cream cardstock from PTI to make it masculine and also drew a border around the card with an 01 Micron Pen. The floral is from Life and the quote is from Out on a Limb Sentiments - both by PTI. For my next 2 designs I used crosses from the Spellbinders Cross Collection - sponging them before taking them out of the die. 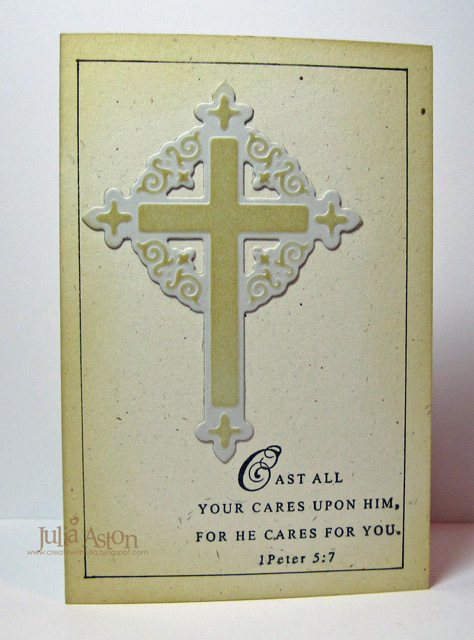 I used Soft Stone card stock from PTI for the crosses for a little contrast in color. 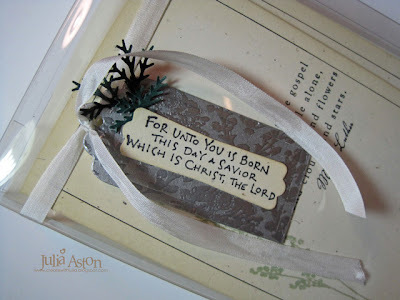 I used Ranger Distress Antique Linen ink for the sponging. The Bible Verses are both from Everyday Blessings by PTI. For my 4th card for this note set I used a cross from Everyday Blessings by PTI and a Bible verse from Beautiful Scriptures by Clear Dollar Stamps. Here's a close up of the tag - I silver embossed my Victorian Damask stamp by Rubbernecker onto silver cardstock. I hope he likes them! Remember to check out the final days of the Waltzingmouse 12 Days of Christmas - today Mona has something to inspire us and Friday Joan will be posting something fun! And I hope you'll check back on Saturday for the Waltzingmouse Sketch! 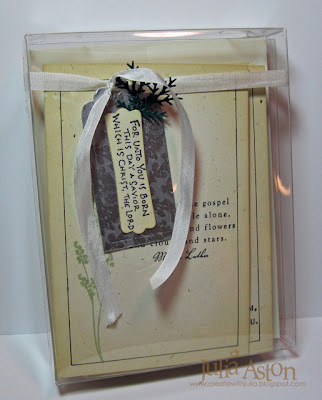 ETA: check out PSA Stamp Camp Blog - Libby is offering a free stamp set to one lucky commenter!